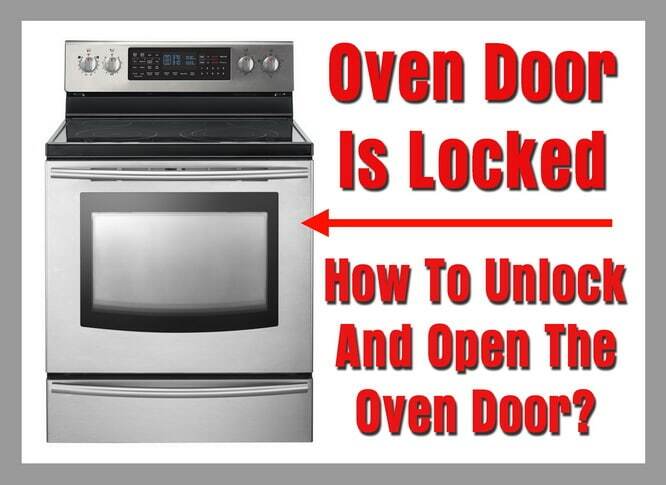 Oven Door Is Locked – How To Unlock And Open The Oven Door? Question: My GE oven door is locked. The door on the oven will not open when I pull on it. What could be the reason for this? My GE oven has the self cleaning mode but I do not know if it is IN self-clean mode. It also has a door lock on the front but I checked and the lock is not engaged. How do I unlock it if the oven door is not locked with the handle? Can you tell me how to reset the oven/range or a way to open the door? 1 – Remove power to the oven – Unplug the oven from the power outlet or flip the circuit breaker for the oven. 2 – Wait approximately 10 minutes and reapply power to the oven. 3 – Set the flashing clock to the current time. 4 – Slide the door locking lever on front of the oven (if applicable) or simply just open the door. 5 – The oven door should now open as the oven has been reset by removing power. 1 – Set the oven in the self clean mode. 2 – Let the oven stay in the self clean mode for 20 minutes. 3 – Use the CANCEL button on the oven panel and CANCEL the self cleaning mode. 4 – Wait enough time to let the oven cool down. 5 – Once the oven has cooled down, slide the door locking lever on the front of the oven (if applicable) or simply just open the door. NOTE: If the methods above do not fix the issue, the oven door locking assembly may need to be accessed (taken apart) by hand to open the door. It may need to be removed and inspected to find out the issue. 1 – Oven door may be controlled by a solenoid system. If your oven has a solenoid controlling the door lock, you will know by the locking lever. It needs to be in the proper position to lock the oven door. You may hear a buzz noise when you lock or unlock the oven door using the locking handle. 2 – Oven door may be a heat sensitive locking control. This type of oven door locking system uses a spring that is coiled. When the oven heats up, it will lock the door. 3 – Oven door may be a motorized design and does not have a locking or unlocking handle. 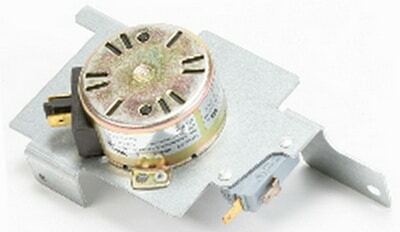 On this type of oven, the motor will lock the oven door automatically when the oven is in the self-clean mode. If you find you need to replace the door locking assembly on your oven, here is How to replace an oven door lock assembly. Use your oven/range owners manual to see which type of oven you have to troubleshoot the issue. 1 – Find the model number on your oven by looking on the back of the oven or on the inner door or frame. 2 – Search for your oven owner’s manual online using the model number of your oven. 3 – Find the area in the owner’s manual that mentions and shows the door locking mechanism. 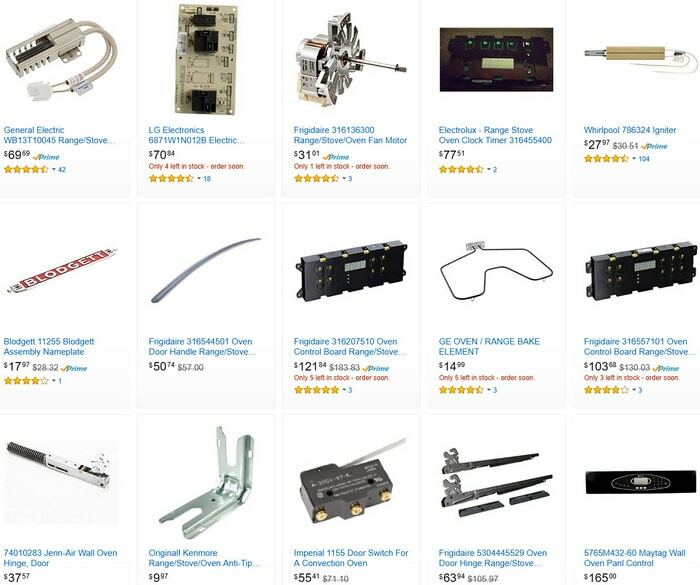 4 – Find out which type of door lock you have on your oven and troubleshoot from there. What parts or components in an oven can cause the door to not open? Depending on the model number oven or range you have, there may be an issue with the oven door locking assembly, a faulty main board, control board, a wiring issue, a mechanical issue (door hinges, bent door, warped) or an error code is showing on the display and another issue is causing the door to not open. Check here for Maytag Oven Error Codes or Whirlpool Oven Error Codes. Need help with your oven door not opening? Please leave your question below with the model number of your oven and we will assist you. I have an older GE wall oven Model JTP13. Recently, while using it, it wound up with the door locked and the display panel blinking “lock”. We tried all the trouble-shooting suggestions for unlocking it, but nothing worked. I could hear the motor trying to move the lock, but it wasn’t was just clicking in place. The door remained locked and the “lock” display was flashing. I managed to “jimmy” the lock open and removed the door. Again, I tried all the suggestions but the locking mechanism wasn’t moving the lock. I ordered a refurbished, used locking mechanism and just installed it. It appeared to be working fine (although noisy) with several test runs. I then re-hung the oven door and tested it – the darn thing locked and wouldn’t release. I can’t see that the “new” lock cam is moving at all, although it is still noisy, so it’s getting power. It is possible this used part is malfunctioning. I am wondering if it is possible to disconnect the entire locking mechanism and just not use the self cleaning option.